Out of baking powder, or trying to avoid some of the ingredients in store-bought baking powder? Here's how to make your own in less than a minute. Mix the baking soda and cream of tartar together until well combined. This will give you one tablespoon of baking powder. 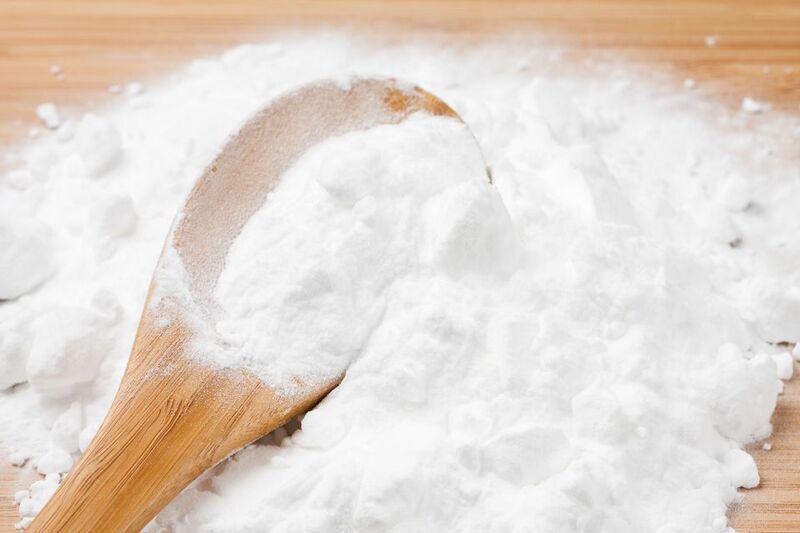 If you plan to store your baking powder, add a teaspoon of cornstarch to the mixture, and stir. This will absorb any moisture from the air, and prevent the baking powder from clumping or reacting before you need it. Store in an air-tight container between uses to keep the baking soda fresh. Want to make a bigger batch? Just stick to the ratio of two parts cream of tartar to one part baking soda, and it'll come out great. Since baking powder loses its potency over time, it's best to make no more than you can use in a month. Your baking powder will only be as good as the ingredients that you put into it, so make sure your baking soda and cream of tartar are fresh. Corn-free. Just leave the cornstarch out, or use arrowroot powder in its place, and your baking powder won't contain corn. Gluten-free. If you add the cornstarch, it will contain corn gluten, but that's not the type of gluten that affects people with Celiac disease or gluten sensitivity. Just make sure the package says your corn starch was produced in a gluten-free facility, so you don't have to worry about cross-contamination, or go ahead and leave the cornstarch out if you prefer to avoid all forms of gluten. GMO-free. As long as you use a cornstarch without GMOs. Note: This recipe will give you single-acting baking powder, which means it will react when it comes into contact with the liquid in a recipe. For this reason, it's important to add your baking powder towards the end and to get your baked goods in the oven as soon after as possible. Store-bought baking powder is typically double-acting. A second acid in the baking powder reacts when it's heated in the oven. If you're looking for a good double-acting baking powder, try the Rumford brand. It's aluminum-free, non-GMO, gluten-free and contains no preservatives or additives. It does contain cornstarch, however, so it won't work for people with corn allergies. Most grocery stores carry it. If you don't see it in the baking section, check the natural foods section. It's in a red can.